FREETOWN: Sierra Leone has scrapped a USD 400-million (347-million-euro) scheme for a Chinese-built airport, saying the project was too costly, but Beijing sought to dismiss the concerns on Thursday. In a statement, the ministry of transport and aviation said that "after serious consideration and due diligence," the government had determined the Mamamah International Airport initiative was "uneconomical". China's foreign ministry said Thursday the assertions that projects "do not contribute to local livelihoods do not correspond with the facts. 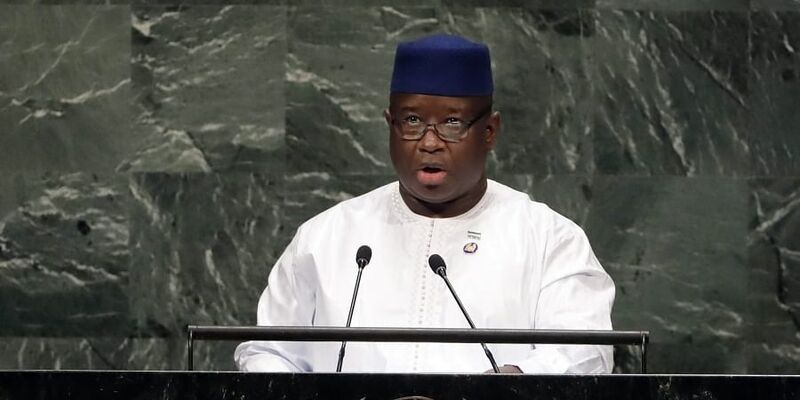 "When cooperating with Sierra Leone, China always follows the principle of equal consultation," spokesman Lu Kang told reporters during a regular press briefing. Critics say China's approach to development abroad is exacerbating debt problems in poorer countries, but Chinese and African leaders rejected such concerns at a summit in Beijing last month, with President Xi Jinping pledging another USD 60 billion for the continent. But critics questioned the need for a new airport given that Freetown's existing airport, Lungi, is operating below capacity. The government on Wednesday said it was looking into the possibility of building a bridge between Freetown and Lungi airport -- a scheme that has been priced at more than USD 1 billion. Bio went furthest, going on record as saying "most of the Chinese infrastructural projects in Sierra Leone are a sham with no economic and development benefits to the people.
" China has provided infrastructure and development aid to Africa since the Cold War. China overtook the United States in 2009 as Africa's biggest trading partner. Chinese loans, meanwhile, have soared, especially in transport and energy infrastructure.